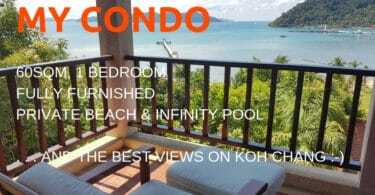 Koh Chang Property Information. Read this first if you are interested in buying land, a home or a business on Koh Chang island. Here you’ll find some useful background information on title deeds, details of property ownership for foreigners in Thailand and what to be very wary of on Koh Chang. Information on buying land, house or a business on Koh Chang. Once tourism has taken hold then it’s only natural that more people will want to move to the island. Some to work and run a business, others to buy a holiday home or retire. Islands in the south of Thailand have already experienced their significant real estate boom, Phuket in the early 90s and Samui on the early 2000s for example. Here on Koh Chang that hasn’t yet happened. There was a mini-boom around 2005 – 2007, with the initial launches of Siam Royal View and Tranquility Bay Residence developments. But a decade on, these remain the only large scale property developments on the island and both are far from completed projects. As the number of resorts has increased, the number of residential developments for sale hasn’t. There have been several attempts at other housing and condominium projects but these were either badly timed, badly managed or poorly conceived in locations that would struggle to get buyers even in the best of times. – The hangover from 2008 world financial crisis. Across Thailand the number of Western European buyers has dropped off. In some places the Russian and Chinese market made up for this and snapped up small, cheap condos. But these don’t exist on Koh Chang and the island and even if they did, the island doesn’t have the shopping, entertainment and attractions that this type of buyer looks for. – The lack of available land in good locations. As the hillsides are virtually all within the National Park, the only way you’ll get a sea view on Koh Chang is if you are right on the beach. Add to that a relatively small amount of land having good title deeds. And even less of that being on the west coast of the island within easy reach of the good beaches. Add to that local families not wanting to sell land, only rent it and you can see that it’s a very different situation to Samui or Phuket where there is ample land available for development. You can buy a 2 bedroom house built on land with a good title deed, within walking distance to a beach, shops and restaurants on Samui for 3 Million Baht. You can’t do that on Koh Chang. Compared to other tourist locations, Koh Chang has less available land. Far less choice of where you can buy. Far fewer developments. So, for anyone interested in buying a property or taking over a resort or bar etc on the island, on this page you will find some general information about buying property in Thailand, followed by Koh Chang specifics. First of all if you want to get the definitive guide to doing things legally in Thailand then you should read Samuiforsale.com . You’ll get much better advice there on pretty much all aspects of Thai law, for free, than you will from most lawyers. If you want to own something Freehold with your name on the title deed then you are limited to a condominium. 49% of the floor area in a block fall into the Foreign Ownership quota. The remaining 51% must be sold Leasehold or held in a Thai name. You’ll often have to pay a premium to get one of the Freehold units as these will be easier to sell in the future. One caveat is that the money to buy a Freehold condo must be brought in from outside the country. You’ll need to make sure you obtain the correct confirmation form the Thai bank if you ever want to sell and repatriate your funds. Under Thai law, any person can register any type of building in their own name. So the good news is that foreigners can own their houses. However, the ownership of land is restricted. It is virtually impossible for a foreigner to own land freehold. Therefore, some buyers will opt to own their house, but lease the land it is built on. Foreign buyers can have a 30 year lease on a plot of land assuming a) that it has a Chanote or Nor Sor Sam Kor title deed and b) the landlord goes a long with it and agrees to register the lease at a government Land Office. Leases are often advertised as having one or two renewal periods. Different law firms have different opinions as to the legality of allowing only one or a maximum of two further periods of 30 years each, making a total of 60 or 90 years. But the bottom line is that these aren’t guaranteed by law and can’t be registered in advance. So if you’re buying on a development where everyone has the same leases, then you might have problems. This article about a notorious Samui developer and an entire development who lost their holiday and retirement homes when the leasehold contracts weren’t renewed is worth reading. A good leasehold contract will also give the foreigner the option to purchase the land should the law change in the future and to sublet, sell or transfer the land at any time. It will also include clauses allowing your next of kin to inherit the lease in the event of your death etc. The lease will be registered at the local government land office. You must get the lease registered. If this is not done the enforceable period of any lease, regardless of what is written on the contract, and regardless of what anyone who may appear to be your new best friend, tells you, is only 3 years. Remember this especially if you are planning on buying a business or resort on Koh Chang which will be built on rented land. The only guarantee is for the first 3 years. After that, you just have to hope the landlord keeps to their side of the deal and renews the contract as agreed. Usually they will but if they decide they don’t want to renew the lease then you’re screwed. You can try to fight it in court but you’d eventually lose. It is also possible to have a lawyer set up a Thai registered company that is controlled by the foreign buyer. The company can then own land Freehold. Three shareholders are needed, at least one must be Thai. The Thai shareholder has to hold at least 51% of the shares. But the lawyer will set up the company so the foreign shareholders have the voting shares and therefore they control the company and it’s assets and bank account. Even if you don’t use your company for any business you still have to do accounts and an annual audit. The cost to set up a company with a good English speaking lawyer is from around 30,000 Baht upwards. The share capital of the company should be the same or higher than the value of the property being purchased. This method takes advantage of the company law to allow an indirect method of ownership. From time to time there are rumours of crackdowns on foreign owned companies that have been set up solely as a vehicle to own land. But this has never actually happened. No confirmed stories of any foreigner who has a home in the name of a shell company having it seized by the state. Neither Leasing or Company ownership is 100% ideal so you’ll have to decide which is the lesser of two evils. These are very low in Thailand. On a lease agreement you will only have top pay approximately 1.1% of the purchase price in taxes when you register the lease at the government land office. If you were buying a land and a house freehold the tax would be approximately 5% of the purchase price. There is no annual land tax on property in Thailand. Governments have proposed these in the past, but this idea isn’t a vote winner so has never been put into law. However it is slated to be introduced in 2019 that will tax wealthy land owners. It won’t affect homeowners or small businesses at all. Likewise there’s now inheritance tax on land that is passed down but only when it’s worth 100 Million baht or more. The above two titles are the ones that a register-able right of ownership or lease can exist, and so are the only titles that most buyers will consider. Por Bor Tor Ha / Sor Kor Neung – These are farmland title deeds. Only for Thai buyers and expats married to Thais who understand the local way of doing things will consider land with these titles. On Koh Chang this type of land was cheap a few years ago but now, it too, is rather expensive. Your lawyer will advise you not to buy it. If any lawyer advises you to buy it, they either own the land or are good friends with the owner. It can only be held in a Thai name. Not in a company name. And you can’t register a lease on this type of land. Buy a Freehold condo if you want to be 100% legal. For land, ideally you’re looking for a plot with a Chanote or Nor Sor Sam Kor. Either Company ownership or a registered lease. But both have their pitfalls. Avoid untitled land. The property market on Koh Chang has been pretty quiet for the last decade. It can often take years to sell property. There are exceptions, small plots of land within easy reach of the main west coast beaches still sell. As do cheaper businesses. But finding a buyer for a large plot in an out of the way location, a beach home or to take over a small resort isn’t easy. There are many properties that have been for sale for 5 or more years at varying prices. For some reason small businesses, e.g. bars or restaurants often cost more than a similar business in a far busier location elsewhere in Thailand do. Sellers tend to be optimistic and, initially at least, not too worried whether they sell or not. At the end of every High Season, a lot of small resorts come up for sale. The owners have made the money for the year during High Season and want to cash in. Maybe there’s someone around who would buy and allow them to double their investment quickly. If not then try again next year. May, June and September are the three quietest months of the year, when even large beachfront resorts will have 20% occupancy rates. But July and August are now almost as good as High Season months for many of the better known restaurants and resorts. Having said that, if property is definitely good value then it will get snapped up. Often by people already on the island and their friends and acquaintances. An example would be a small development of two bedroom villas on the east coast which ticked all the boxes as far as being by the sea; sensibly priced; having a rental management program in place and being sold by a reputable expat businessman. They all sold within a few months and mostly just through word of mouth. They were out of my price range unfortunately, but later I’ll give an example of a property I bought that was too good to say No to. Bottom line is that it’ s a buyer’s market. Unfortunately, many sellers have unrealistic expectations. Real bargains do exist but you need to be in the right place at the right time and have some luck to get one. If you want a small resort or business on Koh Chang, realise your land lease almost certainly won’t be legally registered. How to be an Expat Property Developer . . . I mentioned one successful small development above and there’s also Baan Talay Thai, another mid-size housing development on the east coast which managed to sell all the plots and houses. But since 2004 there have been several developments on Koh Chang advertised that have never got off the ground. 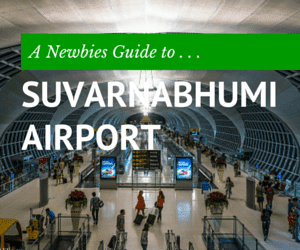 Unfortunately, with many developments run by expats the arrangement is often the same. They get together with a Thai land owner and have an architect draw up some plans for a condo or villa project. Of course no one has the cash to pay for any real construction work and no Thai bank will lend to them. But they do have money for advertising and sticking up a few billboards. A construction firm might also be brought in. The architect and construction firm will receive payment for their services in the form of a few units in the development – which they can then sell. Buyers will hand over deposits and this money will be used to begin construction once 40% or so has been sold. Once a project is underway then it’s much easier to sell as people can see what they are buying. But even if no-one else does, the income from the 40% sold units will be enough to complete the project. However, if buyers are thin on the ground then nothing will be built. The few, unlucky buyers who have already paid a deposit then have to try to get money back. Which is virtually impossible. Don’t expect any help from the police as this is viewed as a foreigner vs. foreigner problem and so they can’t be bothered getting involved. The Thai legal system is designed to make it easy to keep cases dragging on for years. And medieval libel laws mean that if you dare mention your issues in a public forum you can be sued by the developer – even if what you say is true. It sounds bleak, but fortunately scenarios like this are still rare on Koh Chang, unlike on say, Samui or in Pattaya, where it is an all too common occurrence. Although I do know of a couple of people still waiting years to get money back from small time developers who promise they will pay but have unfortunately don’t have the cash right now. But if you’re planning a luxury development with million dollar homes, then you can take over one in Bangbao which was started back in 2005. Two stunning, modern villas were built but they along with 15 Rai of land have been for sale since. Yours for 5 Million Euros. You’ll find some ( not all ) agents and lawyers are more than ready to dispense partial truths and outright lies in order to get you to sign on the dotted line. Especially when the economy isn’t so good and buyers are a rarity. And from emails sent by an agent to a potential buyer regarding plots of farmland for sale. (These were forwarded to me by the potential buyer) As this type of land has no title deed and therefore no legal lease can be registered and so three years is the maximum you can be sure of having use of the land for. Yet, they will have a real lawyer draw up a 99 or 999 year lease – neither of which actually exist in Thailand and claim it’s fine because the contract is witnessed by a local official. When I sell a 99 years lease, I also get the head village as one of the witnesses to the lease. This is to let the people in the village know that you have already obtained a 99yrs lease. In the event of a dispute you will be defended by the village chief. Unless of course the village chief , his family or close friends, who he has known for decades, want their land back. Unfortunately for ‘buyers’, local customs on Koh Chang and an old guy’s signature don’t take precedence over the Thai Civil & Commercial Code which governs property and land leases not only on Koh Chang but in Thailand as a whole. Other contacts that I have seen for ‘sales’ of farmland to foreigners often don’t even include details of the plot size and location or have vague promises that the title deed will be upgraded as soon as possible – which may well be never, and so are, basically unenforceable and useless. Unwary buyers may think they are legit because a lawyer draws up the contract. In reality most lawyers on Koh Chang will draft any contract they are paid to write by a landlord who brings them regular business. The Land Office in Laem Ngop on the mainland will be more than happy to give you the official line on if and when upgrades to farmland may take place. I’d place my faith in them, rather than someone selling land or one of their friends. Some Sor Kor Neung land has been upgraded – back in 2010. That was part of a government initiate to expand the amount of land with good title deeds across Thailand. However it is a different story with Por Bor Tor 5 land. Which is the most common type of farmland found on the island. Sellers will tell you an upgrade is on the way “next year”, but they have been saying that since we have been here – i.e. since 2003. The Land Office will tell you that there are no plans in the near future to upgrade this type of land. A wannabe lawyer on Koh Chang charging over 150,000 Baht per person for a couple to set up a registered company and get Work Permits for them. Why? Because they wanted to buy a house and the lawyer convinced them they needed Work Permits to do this. In the end, after a few months messing around, another, real lawyer had to sort out the mess she made and pretty much start the process all over again , for a far lower fee. Far better to get a lawyer based in Bangkok, or even Pattaya, to act on your behalf in any property or real estate purchase. ‘Caveat Emptor’ as the ancient Romans used to say when dealing with lawyers & land owners. Don’t rush into anything. Get a lawyer from Pattaya or Bangkok who is well versed in dealing with foreigners and has no connections to he sellers. Have them check all paperwork before you hand over any money. Ideally not within the boundaries of the National Park would be a start. But it’s not quite that simple. There isn’t the same black & white, obvious right and wrong as there would be say if you tried to build a resort in, say, a protected area of New Zealand. You’d be shut down instantly, outrage would ensue and you’d be in court within days. What many people don’t realise is that, for example, all the resorts and businesses on the southern half of Kai Bae beach and all of Lonely beach are within the park boundaries. This isn’t a secret, the original boundaries of the National Park, which was established in 1982, are shown on the map on the right. It shows both the Marine National Park boundary and the area on Koh Chang that’s technically protected from development. Koh Chang isn’t that big. But whilst it might seem easy to get to different areas of the island, in reality you’re going to spend most of the time in the place where you have bought your home or business. So if you’re buying a house then the location has to be one that you’re happy to spend a lot of time in. Peace and quiet might be nice but if it takes 20 minutes to get to the nearest shop and 40 minutes to find a bar showing Premier League football, then that might not be ideal for many people. If you’re buying a house and want to be within easy reach of the main west coast beaches then there’s not a lot of choice. If you have money and want a well built, but cookie cutter home on a luxury development then Siam Royal View is the obvious choice. You’re only 10 minutes from White Sand beach and secluded from noise and local life. If you’re on a budget then Klong Son valley is worth a look. There are sometimes small plots of land with good title deeds for sale there. The other main option is the valley in Kai Bae where quite a few people have built homes. It’s a convenient location but with one significant downside. The land only has farmland title deeds, that might be OK if it were cheap. But it isn’t nowadays. Land is cheaper on the east coast and a lot easier to find, but if the point of buying on an island was to be close to a great beach, then it will be too remote for you. If you’re buying a business, then the resort that seems great value may well be far less of a draw to guests than one costing 50% more but in a far busier area. One can fill most rooms during 3-4 months, has a couple of average months and then is dead 6 months a year. The other might fill it’s rooms for 6 months a year, have 3 – 4 average months and just a couple of very quiet months a year. The flipside is that the cheaper one may well only have an annual land rent of 100,000 Baht. the more expensive might be 700,000 Baht. That’s a huge difference for similar sized resorts on similar sizes of land. You’ll also need to think about what type of visitors stay in different areas of the island. Will your resort, restaurant, bar etc attract the type of people that are staying in nearby resorts? Even on individual beaches you’ll notice a marked difference in how busy businesses in certain locations can be. For example, go out at night in Kai Bae and see how busy restaurants on the main road near the northern half of the beach are, compared to those in the southern half. You’ll notice a big difference. The southern half is a lot busier. There’s a lot to consider before you decide on a new life in the sun. One final bit of advice is to try living somewhere before you commit to living somewhere. Coming to Koh Chang, or anywhere, for a two week holiday is a very different experience from living here permanently. So, if your aim is to retire here then it’s far better to initially rent somewhere than rush to buy. Spend a few months living in the location you plan to stay permanently before investing any large sum of money. – Return here a couple of times on holiday. Still love it. – Decide to buy a property. Not to live in permanently, but as an investment and to rent out until it’s time to retire. Plus friends and family will use it. – Buy a place. Use it a couple of times in the first year. Friends and family also come and stay. – Only time for one visit this year. Kids are getting bored with the island and want to go elsewhere. Rental income is OK but there are now expenses related to refurbishing stuff and buying new furniture, etc that are starting to add up. – Visit twice. Both times to sort our problems with the house and find someone new to handle rentals. It’s starting to become a hassle. – Realise that the dream of early retirement is just that. It’s not now going to be a viable option. Maybe better to sell the house – especially as property in ( insert name of European country ) is much cheaper now and only a 2-3 hour flight away. – Eventually, after 3 – 5 years of having the house up for sale, find a buyer. There’s no way to predict the future. So, unless you enjoy the element of risk, then I’d only buy if I had the cash on hand and if I knew I was getting a good deal. Plus the property was actually built and not off plan. 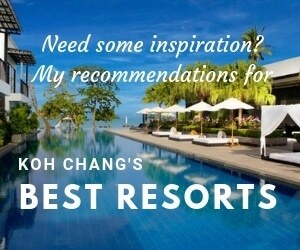 If you’re looking for a small resort you’ll find lots available on Koh Chang. Likewise, small shop units for rent that you could run a small bar, tour agent or restaurant out of. There’s also nothing to stop a foreigner leasing a resort or renting a shop unit. So, on the face of it getting started in business isn’t too difficult. But nothing is ever that simple. If you want to work legally then you’re going to have to get a lawyer to set up a Thai registered company and then use that company to provide yourself with a Work Permit. That also requires having at least four Thai staff on the payroll. Setting up the company and getting around the regulation for Thai staff is what a good lawyer will do. The staff will exist on paper and you will pay social security contributions for them, but you won’t ever see them or pay their monthly salary to them – unless of course they are real staff that you have hired to help run the business. Don’t assume that accounts are legitimate. But there again it isn’t a definite warning sign if well formatted excel spreadsheets with every item of income and expenditure aren’t available. Many small businesses keep no more than a written ledger or basic information on occupancy rates. And virtually all are cash only. A bar or restaurant may well know how much they bring in per night on average. And will know that it’s more than they spend on supplies and wages. And also that there’s enough at the end of the season to buy a new pick up truck. But that’s as much of a financial breakdown as you’re likely to get. You’re also going to come across businesses for sale that aren’t real businesses. They may have been set up by a benefactor in order to employ a Thai girlfriend / partner and give them something to do. Places that fall into this category are usually small massage shops, coffee shops or hairdressing businesses. Or have been set up solely for the purpose of flipping as soon as they are open in order to make a quick profit. Someone will have rented some land during low season, built a bar or restaurant and then will try to sell before the start of High Season. It’s going to be up to you to look at the information available; spend time seeing how busy the business you are interested in is; and also others in the same area. If the bar you are thinking of buying is dead at night but there are others nearby that are busy, then you know that the location isn’t an issue. It’s just a matter of appealing to those potential customers, something the bar obviously isn’t doing at present. So how much should you pay? It’s great reading all this advice and information but how does that translate into real life experience? Do I practice what I preach? This guide is written to give you an idea of what you really should be doing or looking out for. It’s to warn you off as much as to encourage you to buy something on the island. The reality is that whether you are renting or buying a business or home you’re going to do things ‘The Thai Way’ at some point. There are three ways to handle this. One is to get extremely stressed, freak out, have a breakdown, lose all your money and disappear off the island within 6 months. Another is to just go with the flow and put blind faith in your chosen deity that everything will work out. Maybe not as planned, but near enough. And the third is the happy medium between doing things above board and as securely as possible. But having taken into account all the legalities of what you are doing and potential consequences. You’ll find a lot of people selling property here don’t actually own anything themselves. They just rent. It doesn’t encourage confidence when the person advising you of how awesome a 15 Million Baht dream house will be an what a great investment it will be, can’t or won’t put money into any property here themselves. 1. Baan Rim Nam. This is our guesthouse. It’s a wooden fisherman’s house built on stilts by the river estuary. Houses like these don’t have any land title deeds – as they aren’t built on land. Ownership is simply based on the local headman and neighbours knowing who owns the property plus having the ‘Tabian Baan’ ( government issued address book for the property ) in your possession ) Any good lawyer will advise you not to buy this type of property. It can’t be in a foreign name and can’t be in a company name. We were renting a bungalow and looking for something to do on the island. The plan was that we’d lease some land and build a few bungalows. We figured we couldn’t afford to buy anything as we had well under 1 Million Baht in the bank, just the savings from working in Bangkok. So we rented some land in Bailan and got plans drawn up and approved for some bungalows. However, just as we were about to start building someone told us about a house for sale. So we went to see it and half an hour later decided to scrap the plans for the bungalows and buy the house instead. 2. Land in Klong Son. Years ago I met an English expat who had moved here from Phuket and who was looking for land for a family home on the island. He & his Thai wife spent a few months looking for the right location and eventually found a local family willing to sell a 1,200Sqm plot by the river in Klong Son. Just off the road and within easy walking distance of shops. They rented a house and his daughter began school. She lasted a week before they realised Koh Chang wasn’t for them. She was a couple of years ahead of everyone else in her class and wasn’t going to learn anything attending a school on the island. So they moved back to Phuket and put the land up for sale. I saw it advertised, we went to see it and decided to buy it about 10 minutes later. It ticked all the boxes for a plot for a quiet house or a maybe few longstay bungalows. A Plan B in case we ever wanted to sell Baan Rim Nam. 3. Fisherman’s house in Salakkok. This one didn’t go as planned. It was a cheap run down old house and we figured that eventually it could be rebuilt and made into a simple, out of the way holiday home. But we didn’t take into account the hassle of dealing with some members of the local community that didn’t really like outsiders. It ended up being way too much hassle to justify the expenses of trying to rebuild it and keep everyone happy, so we wrote it off. The house has long gone. The wood stolen by the neighbours. So that’s been written off a loss. Fortunately, not too much. 4. Another fisherman’s house in Klong Prao. Our neighbour’s shack. We had originally wanted to buy this when we bought Baan Rim Nam. It was just a very basic wood and corrugated iron hut that had almost collapsed. Back then the Thai boss of a dive company ended up buying it. A concrete base for a new house was built but got no further and it soon changed hands a couple of times it ended up being owned by another of our neighbours. They wanted to sell, so we bought it – for about ten times the original price. It’s just a concrete base with a house book but it cost more than Baan Rim Nam. But it’s always best if you can control your neighbours in Thailand, as you never know who will move in next door and how noisy they will be. We have a plan to rebuild the house but that’s on hold until it’s possible to get permission to build from the Marine National Park. That will require a change of government. 6. Condo in Bangbao. This wasn’t planned at all. I’d always liked the views from Tranquility Bay Residence but never thought I’d be able to afford a place there. When the one bedroom condos were originally sold off plan back in 2006 – 2007, they went for around 5 to 5.5 Million Baht for a 60Sqm one bedroom unit. Quite a few Scandinavian buyers snapped them up. Then came the world wide recession in 2008 and since then the property market on Koh Chang stagnated, with more sellers than buyers. However asking prices continue to rise. The developer’s price for units is now around 6.8 – 7.3 Million Baht. But you’ll see resales advertised for around 5 – 5.5 Million Baht. In late February 2017 I was contacted by an agent in Pattaya who had been trying to sell a unit for over a year on behalf of an old friend of his. As a last resort the asking price was now discounted by 50%. Did I know anyone who was interested? I wasn’t at first as it seemed a bit strange and to be honest, real estate agents in Pattaya don’t have a great reputation for ethics and honesty. But after a bit of Googling and contacting the developer it turned out that it was legit. And even better was the only type of unit I’d really want. A top floor corner unit. So, we went to take a look and decided to buy it. This is a Leasehold unit. It took a while to get the paperwork in order as the seller was in Norway. But Morten, the agent from Pattaya did a great job getting documents signed and we eventually got the lease transferred into my name at the Land Office in Laem Ngop. Three things . . .
You’ll notice lawyers aren’t mentioned anywhere. The main reason for that is my trust in my partner ‘Mam’. If you don’t have a Thai significant other whom understands Thai property law and you can trust implicitly, then you’re going to need a good lawyer. Once we’d got Baan Rim Nam any subsequent purchases didn’t take a long time to decide on. That’s because once you know an area well and what’s value for money, then it’s pretty easy to assess if something that is in your budget is worth buying or not. If we came to Koh Chang now with 1 Million Baht to our name, we wouldn’t be able to afford to buy anything. What would I buy next? No plans to buy anything else for the time being. We need to replenish bank accounts. :-) Plus it’s quite rare that I see anything advertised that I think is a great deal. Most is out of my budget anyway and overvalued unless you really are planning to be here long term.